Sam is a recent graduate of Saint Joseph’s University with a master’s in criminal justice with a focus on crime analysis and intelligence. 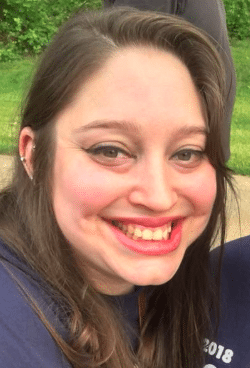 She is currently serving her second term with the Catholic Charities Refugee Program as an AmeriCorps VISTA and has taught Hebrew school here at Temple Har Zion for the past three years. In her spare time she volunteer coaches Special Olympics with her family and is the founder of YouLEAD THZ, our young leadership group.